Figure 18 Synthesis of |8-D-fructofuranosides by intramolecular aglycone delivery. constituent monosaccharide residues [92,99]. The value of $ is fixed by the exo-anomeric effect, which place one of the lone pairs of the glycosidic oxygen antiperi-planar to the C1-ring oxygen bond, and the value of ^ is determined largely by steric constraints. The ^ angles for a glycosidic linkage cannot be determined by means of 3JH,H values. Therefore, to orient the individual residues together in three-dimensional space, most investigations have employed either interresidue nuclear Overhauser effect (NOE) constraints  or Jc,h values [92,100—104] measured across glycosidic linkages. In oligofuranosides, the problem is more complex. In addition to rotation about glycosidic and exocyclic C—C bonds, the rings themselves are flexible. Similar to substituted cyclopentanes, furanose moieties exist in either envelope (E) or twist (T) conformations . At the monosaccharide level, often two of these conformations are of roughly equal energy and are thus present in equilibrium. These puckered conformers generally interconvert through pseudorotation, a process whereby, through a series of small molecular reorganizations, two conformations can equilibrate. 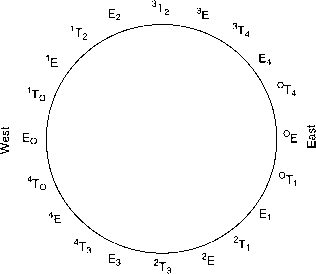 An alternate pathway, inversion through the planar ring form, is disfavored because in the planar form, all substituents on the ring are eclipsed, which results in a significant energy penalty due to torsional strain . Figure 19 Glycosidic, hydroxymethyl group, and ring torsion angles in pyranosides and furanosides. Figure 20 Staggered rotamers about the C5-C6 bond in a pyranose ring (C4-C5 in furanoses). 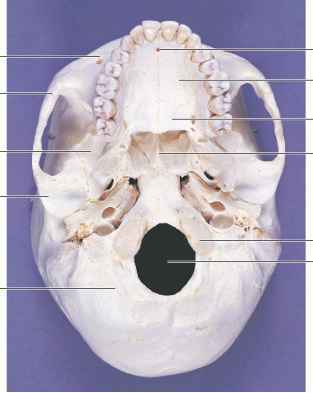 is indicated along with the associated envelope or twist conformer. A consequence of ring pucker is that in addition to the and w torsion angles, furanoses possess a ring torsion angle, x (Fig. 19). In solution, furanose rings typically exist as an equilibrating mixture of conformers, one in the northern hemisphere and another in the southern, respectively termed the north (N) and south (S) conformers. Given two low-energy conformations, for example 3T2 and 2T3, equilibration can occur through one of two pathways, either via the east or west. In the east pathway, usually favored for d-pentofuranoses, equilibration proceeds through the following series of conformers: 3T2 ^ 3E ^ 3T4 ^ E4 ^ °E ^ °Tj ^ Ej ^ 2Tj ^ E2 ^ 2T3 . Figure 21 Pseudorotational wheel for a D-aldofuranosyl ring: T, twist; E, envelope; superscript numbers indicate the atoms lying above the plane, while subscript numbers are atoms displaced below the plane. cially available least-squares minimization program (PSEUROT 6.2) can be used, given the observed intracyclic ring 3JH,H and the rm for each conformer, to calculate the N/S ratio and to provide P values for both conformers from which the ring forms (e.g., 3T2) can be determined . Similarly, equations have been derived for calculating populations of rotamers about the exocyclic C—C bond from coupling constant data [99,108,109].